8,306 others viewed this post. 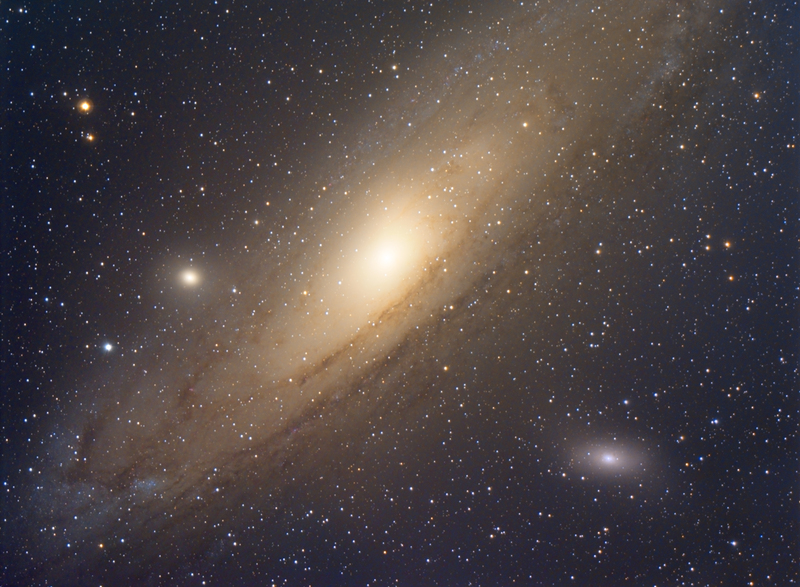 Ok so I talk a lot of smack to the Northern Hemisphere and to a lesser extent galaxy people in general (I’m team nebula, all the way), but I really have to hold my tongue when it comes to this monster of a galaxy, M31 Andromeda. This beast is heading towards us and will “crash” into our galaxy, The Milky Way, ultimately merging after some disruption into a super galaxy. “Milkdromeda” is a suggested name, but “The Milk Shake” is also puntastic. Interestingly, unless our central black holes merge in the event when the two galaxies crash into each other, they may not necessarily physically touch. The hundreds of billions of solar systems (stars) are all mostly separated by great voids of space, so while a large gravitational dance will ensue, actual physical contact between any of our stars is mathematically unlikely. It’s barely able to be photographed from down here in Australia. At this time of the year for a few short months it briefly rises to a few degrees above the horizon. Being fairly north within Australia itself, it gets up to about 19 degrees from my location, but that’s only for some minutes really. So this photo is taken, quickly, over two nights as it rotates from about 16 degrees-19 degrees. One small advantage I have is the super fast Celestron F2 RASA so this is made from a total of about 80 minutes worth of 1 minute exposures. Also using the CGX with a good polar alignment, I didn’t need to guide at all. I’m super impressed with the setup and result and it’s a big improvement on last year. Zoomed in I can see the dust lanes of M32 (The smaller galaxy on the right), and several red speckled nebulae on the lower edges. As you can tell, the whole thing is also too big to fit into this focal length!